More than 500 years ago, when the Spanish Conquistadors landed in what is now Mexico, they encountered natives practicing a ritual that seemed to mock death. It was a ritual the indigenous people had been practicing at least 3,000 years. A ritual the Spaniards would try unsuccessfully to eradicate. 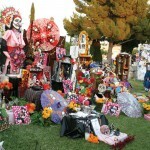 A ritual known today as Dia de los Muertos, or Day of the Dead. 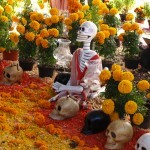 The ritual is celebrated in Mexico and certain parts of the United States. Although the ritual has since been merged with Catholic theology, it still maintains the basic principles of the Aztec ritual, such as the use of skulls. 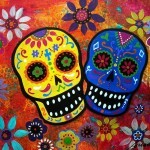 Today, people don wooden skull masks called calacas and dance in honor of their deceased relatives. 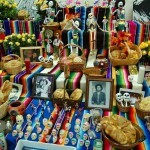 The wooden skulls are also placed on altars that are dedicated to the dead. 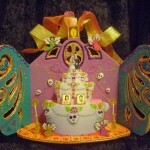 Sugar skulls, made with the names of the dead person on the forehead, are eaten by a relative or friend, according to Mary J. Adrade, who has written three books on the ritual. The Aztecs and other Meso-American civilizations kept skulls as trophies and displayed them during the ritual. 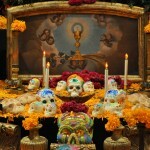 The skulls were used to symbolize death and rebirth. The skulls were used to honor the dead, whom the Aztecs and other Meso-American civilizations believed came back to visit during the monthlong ritual. 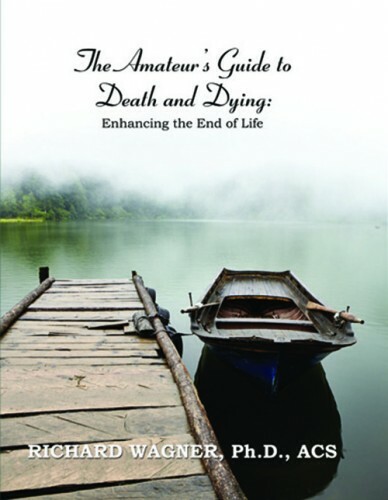 Unlike the Spaniards, who viewed death as the end of life, the natives viewed it as the continuation of life. Instead of fearing death, they embraced it. To them, life was a dream and only in death did they become truly awake. However, the Spaniards considered the ritual to be sacrilegious. They perceived the indigenous people to be barbaric and pagan. In their attempts to convert them to Catholicism, the Spaniards tried to kill the ritual. 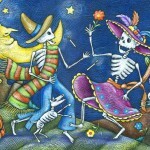 But like the old Aztec spirits, the ritual refused to die. 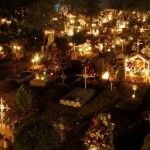 To make the ritual more Christian, the Spaniards moved it so it coincided with All Saints’ Day and All Souls’ Day (Nov. 1 and 2), which is when it is celebrated today. Previously it fell on the ninth month of the Aztec Solar Calendar, approximately the beginning of August, and was celebrated for the entire month. 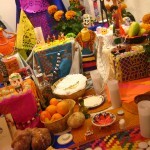 Festivities were presided over by the goddess Mictecacihuatl. 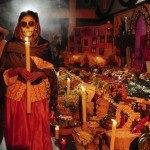 The goddess, known as “Lady of the Dead,” was believed to have died at birth, Andrade said. 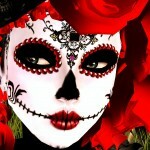 Today, Day of the Dead is celebrated in Mexico and in certain parts of the United States and Central America. “It’s celebrated different depending on where you go,” Gonzalez said. 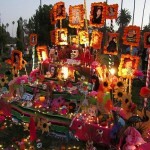 In rural Mexico, people visit the cemetery where their loved ones are buried. 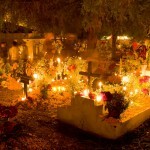 They decorate gravesites with marigold flowers and candles. They bring toys for dead children and bottles of tequila to adults. They sit on picnic blankets next to gravesites and eat the favorite food of their loved ones. In Guadalupe, the ritual is celebrated much like it is in rural Mexico. 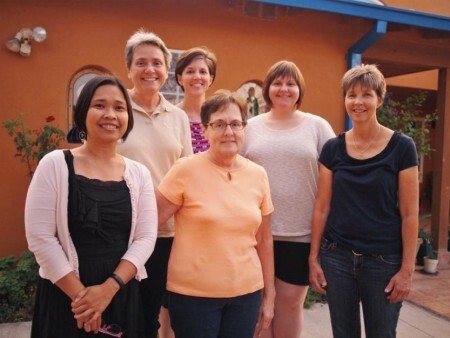 Casa de Caridad formation community members, left to right: Romina, Janet, Denise, Peggy, Whitney and Carol. Most cancer survivors will admit that they never quite stop looking over their shoulders to see if a recurrence is creeping up on them. Having been caught by surprise once, nobody wants to be blind-sided again. My initial experience of ovarian cancer came in February 2008 when I was 52 years old, a Sister of Charity of Cincinnati practicing family medicine at the U.S.-Mexico border near El Paso, Texas. I finished a course of radiation in November, and I heard the glorious words, “Your PET scan is totally clear!” I heaved a sigh of relief and spent the month of April at the New Jersey shore to cap off my recuperation and to see if I could begin to write a book about my journey with cancer, its recurrence and the transition to back to a new normal again. The project flowed well and I returned home to the border determined to continue writing on a regular schedule. But as I picked up my other ministry commitments and life resumed its usual pace, the document lay dormant. I have had four months to come to terms with the probability of entering into a time of chemotherapy. It feels very different than the shock of my initial diagnosis in 2008, an experience than Jean Shinoda Bolen has described in Close to the Bone: Life Threatening Illness as a Soul Journey as “a personal earthquake.” My sensors not only detected what was coming, but I also knew how to use the waiting to prepare myself for the shocks ahead. From very practical details, such as knowing when to expect the loss of my hair and what type of liquids I find most palatable, to how to gather my spiritual and emotional resources, I have been able to get ready for this experience. Visualization has been one of the helpful tools both to prepare me for treatment and to sustain me in its aftermath. In prayer I call on five spiritual “mothers,” three from my Sister of Charity tradition, as well as my own mother and Our Lady of Guadalupe. I have invited these dear women into my presence while lying under a radiation beam, trusting their hands to direct the energy exactly where it was needed and to protect my vital tissues from harm. During infusions of chemotherapy I give each of them an area of responsibility, and I find great comfort in their presence. Although I just happened upon this practice, a spiritual director suggested that it is perhaps a form of kything, a tradition that has been around for a very long time. What I know is that it brings me a sense of inner companionship during moments that are particularly lonely. I have had time to consider what I will be able to do during chemo and what I will need to let go or put on hold. I cleared my calendar as much as possible for the next four months. I talked with my community and close friends to help me make some of the difficult decisions about where and how to use my energy. I spent time upfront establishing balance in my life rather than frantically trying to do as much as possible up to the moment I started chemo. This meant asking others to take on some of my responsibilities — and not feeling guilty about it. I had a great confirmation of this decision when I turned my wall calendar over to October and read, “Accept the gift you have given to so many people. Let people love you back.” Excellent advice, especially during this time, thanks to Jeanette Osias. What will this new course of treatment hold for me? Having experienced six years with NED (cancer lingo for “no evidence of disease”), I can hope for that again. The possibility alone gives me a different perspective as I begin chemotherapy. Instead of dropping everything as I did during treatment the last time, I feel that I will be able to continue some home-based ministries that feed my soul. One of those is directing the pre-novitiate program for three women discerning with our congregation. The experience of intentional community living is a key part of the initial formation process. Living together in community in New Mexico during the next year we desire to create an environment where all of us can listen with our hearts to discern the “what’s next” of our lives. My experience of cancer treatment will be part of the mix as we learn to be sister to each other, sharing prayer and shouldering the chores and challenges of daily life and ministry. An additional learning from last time around is that writing helps me make meaning of the experience of illness. This is what I hope to do as I write my way through the healing process over the next months in Global Sisters Report. I believe that this is a time of “inter-mission,” to live my call between remission and remission, when I have much to learn, to discern and to discover as I open myself to God’s healing ways. 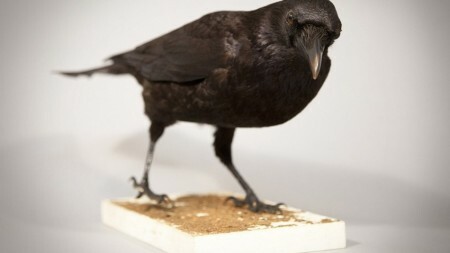 Crows have long been shrouded in superstition and associated with death. Aside from taxes, there’s nothing more certain in life than death. Daniel Defoe knew that. As did Benjamin Franklin. Many are keen to avoid the subject, though. 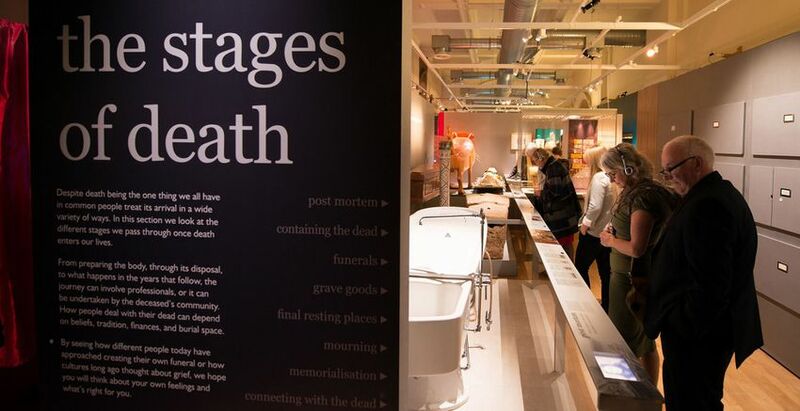 A new exhibition in Bristol is hoping to change that, attempting to de-stigmatise the issue and encourage more discussion around death and dying. Death: The Human Experience, which was two years in the making, draws together some 200 items from across the world to show how different nations have lived with life’s great inevitability for centuries. Coffins, mummies, mourning clothes and grave goods are among the artefacts on display at the Bristol Museum and Art Gallery. 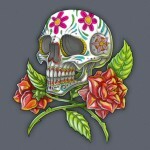 The exhibit explores the science, ethics, attitude and process of death, and features examples of Mexico’s Day of the Dead celebrations (which feature in the new James Bond film’s opening scene) as well as Victorian Britain’s mourning rituals. 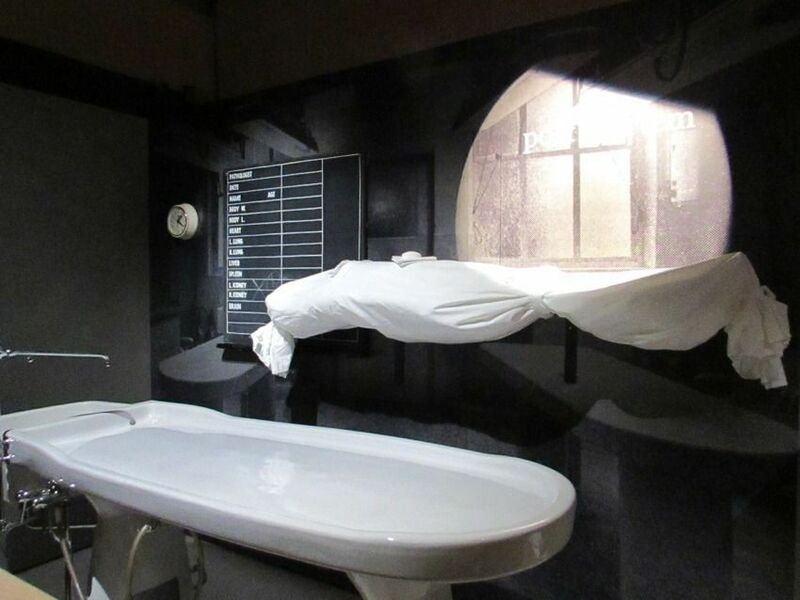 Mortuary tables and fantasy coffins are also included, with some exhibits behind doors allowing visitors to choose if they see them. A mortuary table from the former Bristol General Hospital which was used until the 1960s. An installation entitled Death: Is It Your Right To Choose? provokes debate around end of life choices at a time when euthanasia is undergoing scrutiny in the UK. 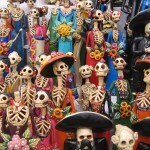 “Around the world, different cultures have expressed their relationship with death in a myriad of fashions, from the visual Mexican Day of the Dead to the audible lament of the Australian Aboriginal death wail,” city councillor and assistant mayor for culture Simon Cook said. The exhibition has already been a hit in Bristol, with thousands pouring through the doors. Here are a few of the items on display. 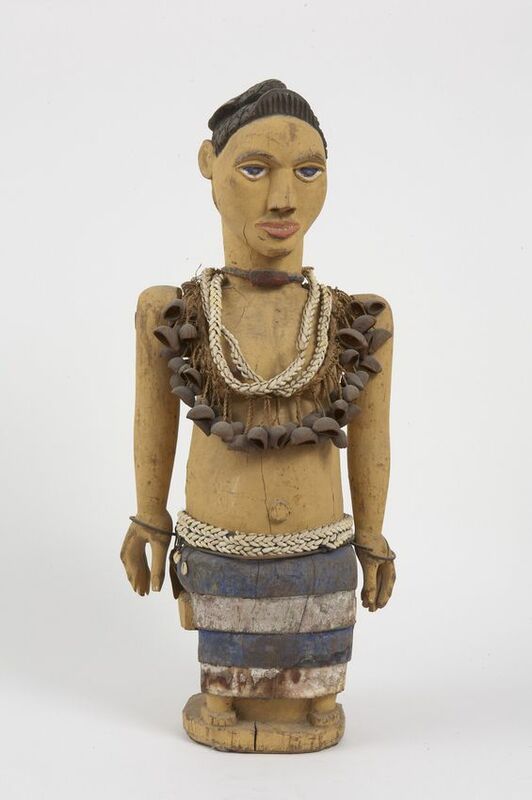 A Ghanian fantasy coffin is featured in the exhibition. A figure in the form of a stylised European ship figurehead. 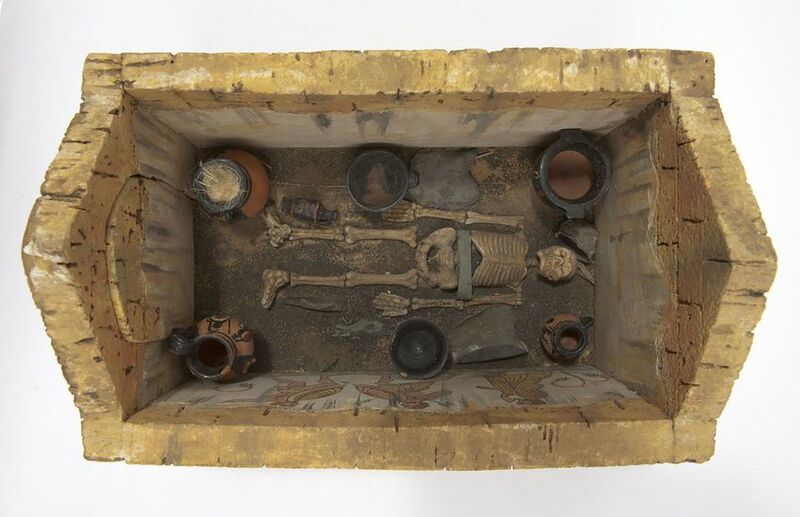 Skeletons, mummies and coffins feature in the exhibit. 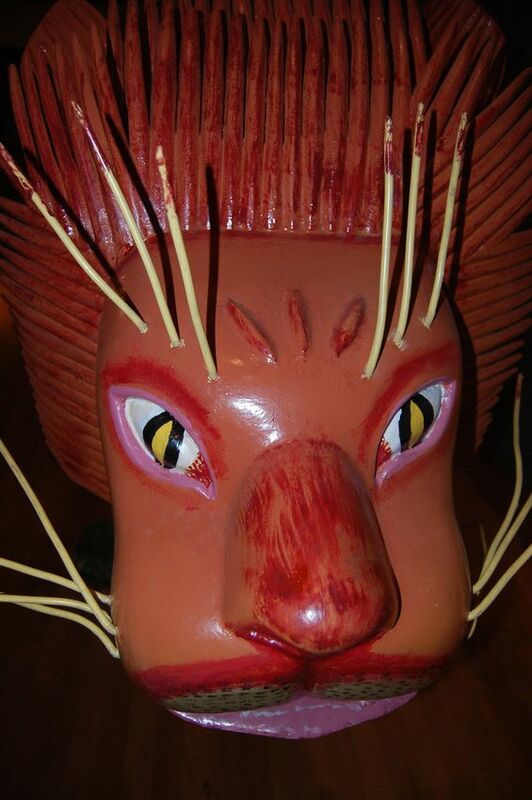 The show took two years to put together and features 200 exhibits. 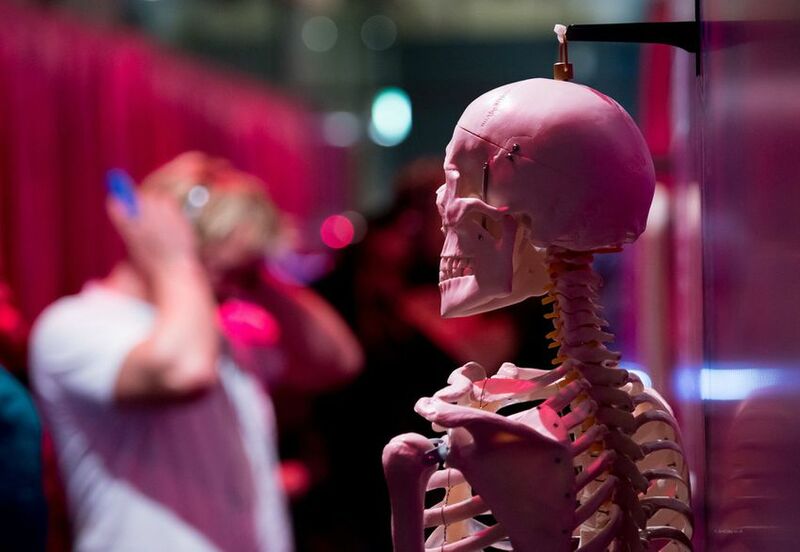 The exhibit explores the science, ethics, attitude and process of death. 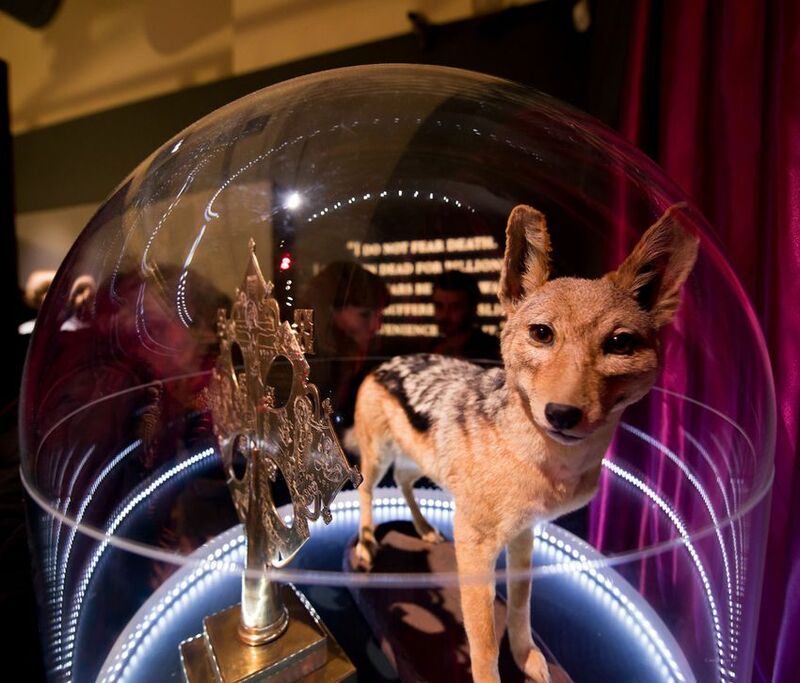 Visitors can choose what to pay and the show is designed to be seen in a lunch hour. Some of the exhibits are behind mortuary style doors, allowing the visitor to choose if they see them. 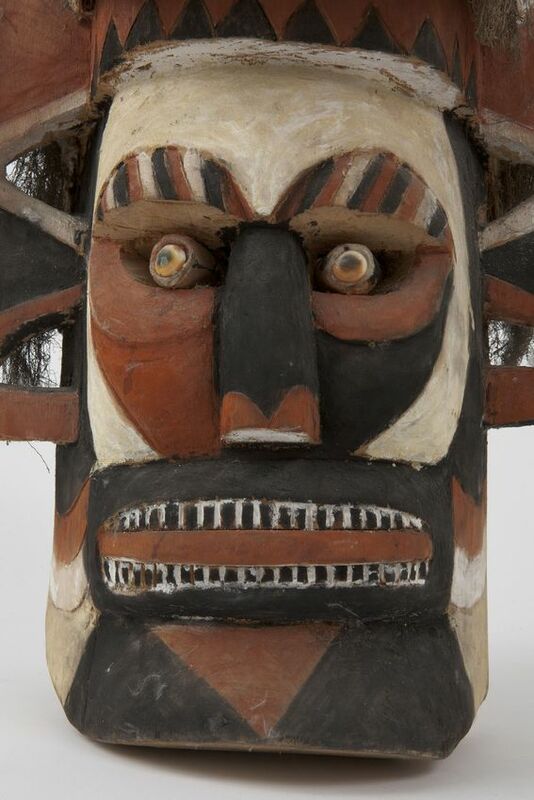 “Death: The Human Experience” runs until March 13. The extraordinary pain of many people around you is unaddressed, and the scale of that unmet need would shock you if you saw it. Compartments of privacy separate you from the experience of your neighbors and even your own families. I understand that you have been unaware as well as hopeful that our medical system will either fix the problems or, at least, soothe the pain. It does neither consistently. The grappling of human beings to make sense out of the fact that they die has only been hiding in plain sight for a short time, and our society is awakening. That is both good news and a difficult truth. Don was a “damn good” bookkeeper, he told me at our first palliative care visit in his home, and an amazing father according to his daughter. Don wished he hadn’t smoked the way he had, but 438,000 cigarettes later, he had widespread lung cancer. Taking a shot with palliative chemotherapy, neither of us had much confidence it would deliver value. It’s a fair estimate that 107 billion people have been born in about 140,000 years of human history … the mothers and fathers of us all. Our modern medical system is less than 100 years old. Through technology and deepening understanding of our biology, lifespans are extended and the quality of life for most of us currently living is enhanced … for a while. 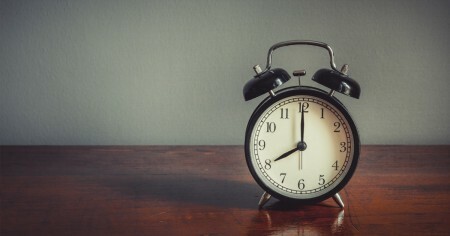 And yet, when we actually begin to complete our lives we do so without the simple things we need. For nearly all of human history, dying was no surprise as it occurred in close proximity to our living. In our modern system, we have hidden it away in hospitals, nursing homes and behind the closed doors of neighbors we don’t really know very well. The structures of coping were family and community, supported by the best efforts of those possessing certain skills directed at soothing the process without any illusions about changing the outcome. With such support, people died well, in peace, and with context. While our modern medical system brings enormous value to us while we navigate the beginning and the middle of our lives, it is an open secret that people have never suffered as badly as they do now as they complete their lives. His weight continued to peel off, and even one cycle of chemotherapy was a “nightmare.” He accepted hospice without a lot of fanfare. With a long and short acting opiate, and a whiff of lorazepam at bedtime, his pain and breathlessness were well controlled despite increasing oxygen requirements. He got to work on “closing the books” and his daughter moved in. A dynamic conversation about care for people with serious illness and those approaching death is exploding nearly everywhere in our society. From outside my field of palliative medicine, there is the work of Ellen Goodman and the Conversation Project, the intimate chronicles of Oliver Sacks last days in the New York Times, and the Institute of Medicine’s sentinel report on “Dying in America.” Atul Gawande with his bestseller, Being Mortal, offers his own awakening to the terrible truth of how our system of medicine fails to deliver the care needed and perpetuates the flimsy idea that we can fix anything. A millennial voice was also recently heard. That of Brittany Maynard, the 29-year-old Californian woman who relocated to Oregon to complete her life on her own terms with a legal and lethal prescription. In the last few weeks of her life, she pulled back the curtains and shared the experience of a modern death with a society that has had the habit of averting its gaze from such common experiences. With this act of empowerment and resolve, she has electrified the social discourse around self-determination and dignity, spurring California’s End of Life Option legislation. The bill was signed into law recently by a circumspect Governor Jerry Brown, and the landscape of self-determination was transformed. His daughter thought he was too weak to make his way across the house to the cabinet where the medicines were kept. She had thought this thought because of hints and sideways remarks about “pointlessness.” Don would never be described as “patient,” she told me. In the dark and quiet of the night, he got up and did make what must have been an epic and lonely journey. He got all the pills, returned to his recliner, and removed his high flow oxygen before swallowing dozens of tablets. Alone. For the last fifteen years, I have been a specialist in the field of palliative care and hospice. I have accompanied thousands of people and their families in the face of severe illness and a system of care that often fails to even avoid making their experience worse. I am a beginner. There have always been so many more people than there are teams of palliative care and hospice professionals to care for them, and this will be the case for decades. Even with the best palliative care and hospice support, we observe profound suffering, and we are often powerless to offer anything more than being there. That’s usually enough. But sometimes, it’s not even close. As I move into a future where folks like Don and his daughter don’t have to be alone as they contemplate and choose their own path, my own sense of humility and respect for the people that seek my care continues to grow. When it comes right down to it, I trust people to know the path forward for themselves and I am honored that they allow me to accompany them. This is a remarkable moment for our society for reasons far beyond any legislation. We are awakening to the truth of things. We are beginning to realize that the measure of us may have something to do with how we care for each other in our most difficult moments and how we address the deepest challenges faced by our society and our planet. Perhaps, if we can begin to live life as if we won’t live forever, we can create a better world to live in and to die from. Sarah Westcott and her boyfriend Vincent Bova trucked in 600 pounds of crushed ice so that Charleston could have one last snow day. Last July, the doctor delivered news no pet owner ever wants to hear. Seven-year-old Tank’s cancer had spread. He likely had just two months to live. So Diane Cosgrove, 37, set out to give her beloved Rottweiler as many memorable experiences as she could, making a bucket list that included going to a baseball game, getting Shake Shack treats and a pet-store shopping spree. “I did everything to make his last month and a half special,” says Cosgrove, who lives in Pompton Plains, NJ. 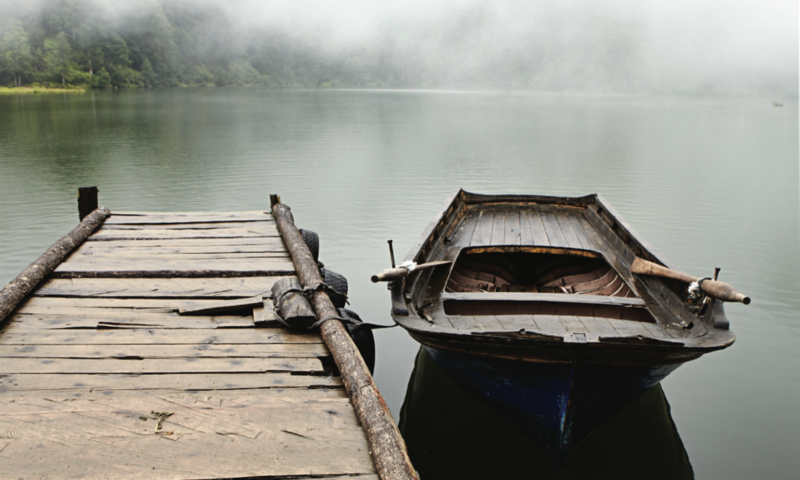 The 2007 Jack Nicholson and Morgan Freeman movie “The Bucket List” brought the notion of a “things to do before you die” checklist into the mainstream, but the concept is no longer just for baby boomers. It’s also for pooches and pet owners, who are granting Fido’s every woof in his final days. A mutt’s dying wishes are even the plot of a current Subaru commercial. 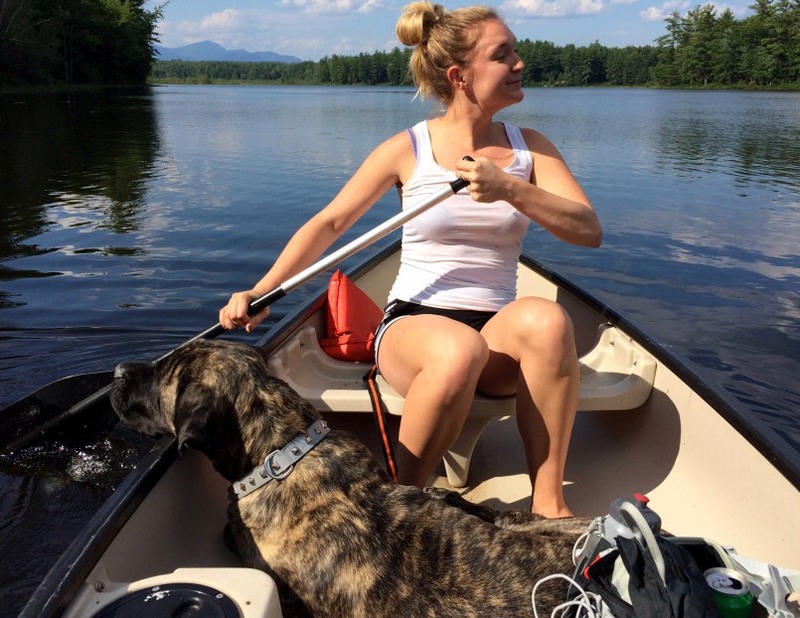 When Lauren Fern Watt, 26, learned her 6-year-old English mastiff Gizelle had bone cancer last year, making an ambitious bucket list for the dog helped her to process her illness. 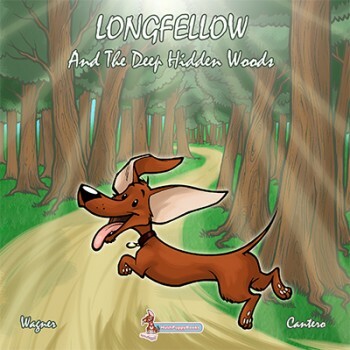 The dog’s final adventures included canoeing, road trips and dockside ice-cream eating. “It seemed like a good way to celebrate my dog’s life, rather than cry over it,” she says. Lauren Fern Watt took Gizelle boating after her dog was diagnosed with cancer. Last January, after Gizelle passed away, Watt, a freelance travel writer who lives in the East Village, put together a photo essay for Yahoo about the dog’s bucket list. 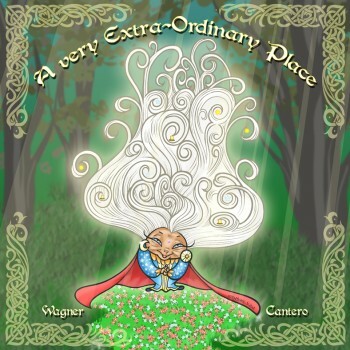 It was so popular, it resulted in a book deal. “Gizelle’s Bucket List” is due out next fall from Simon & Schuster. 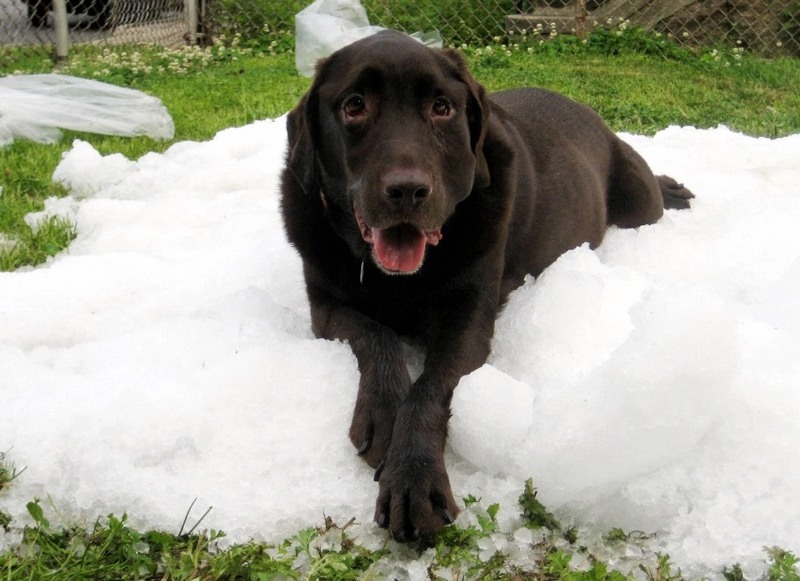 Sarah Westcott, a Brooklyn dog trainer, practically moved the sun and the stars when Charleston, her 5-year-old Labrador, was diagnosed with inoperable fibrosarcoma in the summer of 2008. She and her boyfriend trucked in 600 pounds of crushed ice and dumped it on her grandmother’s lawn in Bensonhurst to give the snow-loving dog a final romp in fresh powder. Mini pints of Guinness, unlimited cheese and one last Hamptons jaunt rounded out Charleston’s adventures before he died three weeks later. “It was good to know that I had done everything I could have for him,” says Westcott. Vets say that bucket lists are fine, so long as the dying dog’s best interests are kept in mind. In the end, Cosgrove had to modify Tank’s bucket list. Three items — going to the beach, riding in a convertible and eating at a restaurant — remained when he was euthanized in August. But he did make it to a New Jersey Jackals baseball game. Bill sponsor Rep. Julio Gonzalez, photographed on April 8, 2015. There are very few feminist homophobes in the world, which makes sense: Those who seek to deprive gay people of their fundamental rights are rarely eager to enact laws respecting women’s dignity and autonomy. That near-truism is playing out in Florida—where, not content to debase just gays, the legislature is now considering a bill that demeans both gays and women in creative and innovative ways. So far, so familiar. But here’s where things get odd—and grim for the women of Florida. The bill states that “a health care facility,” “an ambulatory surgery center,” “a nursing home,” “an assisted living facility,” “a hospice … operated by a religious institution,” and any “health care provider” can refuse to treat a patient or administer a medication if doing so would be contrary to its “religious or moral convictions or policies.” The implications for women here are obvious: Pharmacists could refuse to provide birth control or Plan B; doctors could refuse to place IUDs; nurses could refuse to assist in medically necessary abortions. For LGBTQ people, this provision of the bill should be equally chilling. Despite the fact that gay and trans people face unique health challenges, LGBTQ-friendly health care is terribly deficient. The Florida bill would compound this problem by permitting doctors to turn away LGBTQ patients if treating them—or treating ailments they perceive to be LGBTQ-specific—would violate their “convictions.” Doctors could refuse to perform surgery on LGBTQ people, unless that refusal “places the patient in imminent danger of loss of life or serious bodily injury.” Cleverly, the bill doesn’t just shield doctors from liability suits from would-be patients: It also shields them from disciplinary actions by their hospital or medical association. So much for the Hippocratic Oath. The remainder of the bill—the portions allowing elder care facilities and many hospices to turn away gay people—are almost comically evil. In fact, they are so ridiculously malevolent that I must wonder if Rep. Julio Gonzalez, the bill’s sponsor, a physician who was endorsed by Sen. Marco Rubio, doesn’t have an ulterior motive here. A narrower anti-gay discrimination bill (inanely dubbed the Pastor Protection Act) has already sailed through a subcommittee and looks likely to get a floor vote. Perhaps Gonzalez’s bill is designed to make the other, somewhat less odious bill appear moderate by comparison. That is pretty much the only rational reason I can imagine a putative representative of the people would even consider such a plainly malicious, proudly discriminatory, profoundly malefic measure. 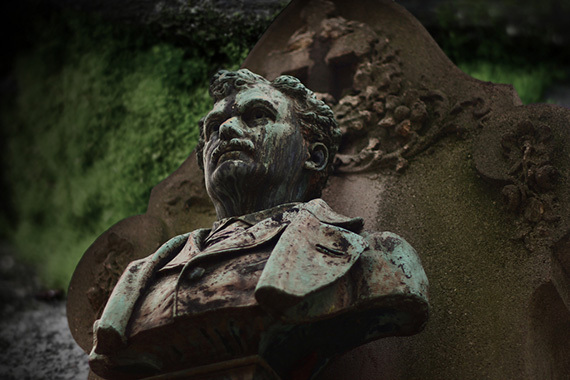 If every cemetery tells a tale, then Père Lachaise speaks volumes. Anywhere from 300,000 to 1,000,000 souls are interred within the walls of Paris’s grand burial ground. Along its winding tree-lined paths rest some of the most influential writers, painters, musicians, and politicians in history–many of whom continue to fascinate even in death. Balzac was a famous French writer from the 19th century. One of his most well-known publications is La Comédie Humaine or The Human Comedy, a multi-volume collection of 90 works depicting the life of the bourgeoisie. 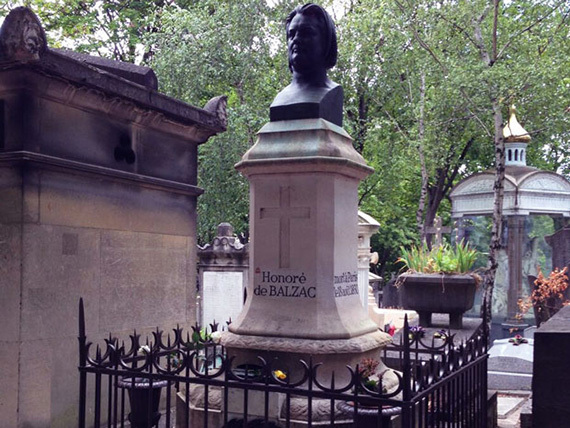 Balzac’s headstone consists of a bronze bust placed upon a pillar with a quill at its base. The tomb rests in a peaceful spot of the cemetery, with trees and smaller graves surrounding it. Alphonse Bertillon was a French criminologist from 1853 who established an intricate forensic method used to identify criminals–much of which is still in use today. One facet of the Bertillon system involved taking profile photographs of criminals, now known as the mugshot. 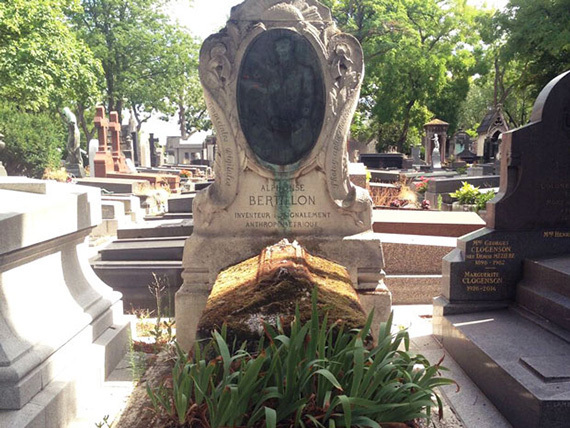 Bertillon’s tomb, covered in intricate carvings, has suffered from years of exposure to the elements. Moss blankets the top of the tomb, while a twisted bed of tulips (unfortunately not in bloom here) sprout up from the bottom. Bizet was a French operatic composer from 1838. The opera “Carmen” is one of his most famous works. He was a gifted child, entering the Paris Conservatory at age 9. In 1857 he won the Prix de Rome, a prestigious scholarship that allows students to study their art in Rome. 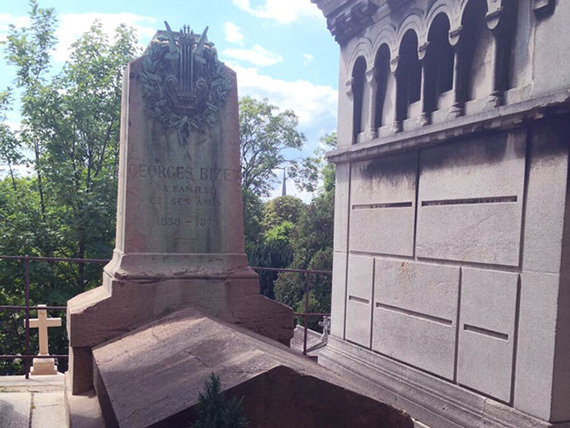 Bizet’s grave overlooks a steep hill dotted with gorgeous trees. His tomb rests in the shadow of a much larger mausoleum, but its simplicity is what draws your eye. Overlooking the grave is a stone marker crowned with an intricate bronze sculpture of wreathed harp. Géricault was a gifted French Romantic painter who died in 1824 at the age of 32. Even if you’re unfamiliar with the young master’s work, there’s no doubting his grave contains an artist. A relief of Géricault’s “Raft of the Medusa,” which currently hangs in the Louvre, adorns the side of this tomb. Félix Galipaux was popular musical hall actor in 1880s France. He moved into film around the turn of the century, starring in some of the first sound films ever produced. Galipaux’s tomb is crowned with a bust of the man. It’s a simple grave but it has a distinction to it. A Polish composer and a prodigy on the piano, Chopin studied at the Warsaw Conservatory. Although he was a virtuoso performer, Chopin preferred to teach and compose for the stage. 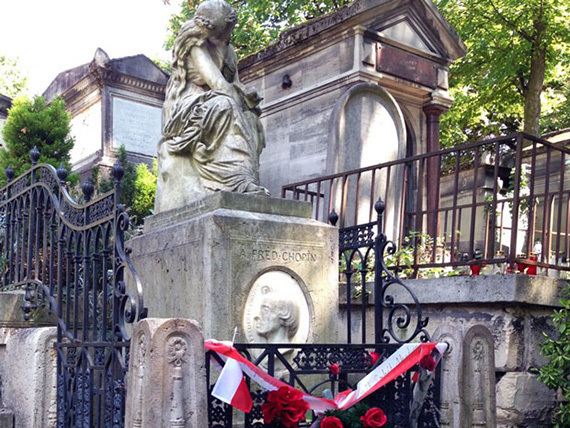 Chopin’s tomb is nestled on a hillside and often difficult to track down–but once you’re on the right path it’s hard to miss. The intricate fence surrounding Chopin’s tomb is covered in flowers. Doors frontman Jim Morrison died in Paris in 1971. 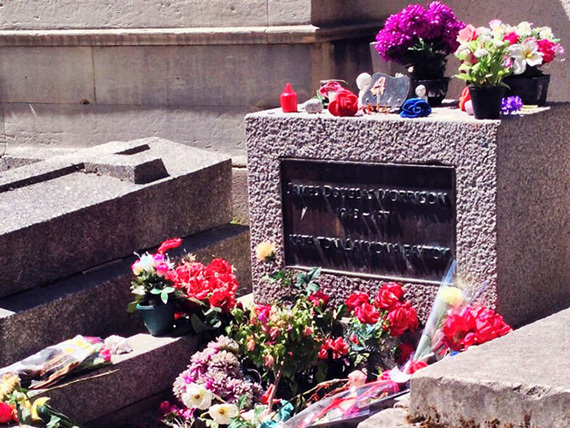 He was buried in Père Lachaise, where the party followed the 60s singer even in death. Empty liquor bottles, handwritten letters, and bouquets of flowers littered the unassuming grave throughout the seventies and eighties. Graffiti covered Morrison’s headstone and the graves surrounding his burial plot. 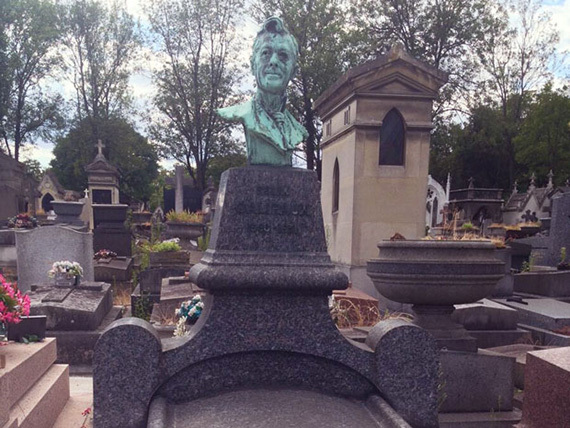 A bust of the singer, installed upon the grave in 1981 to commemorate the 10th anniversary of Morrison’s death, was stolen in 1988. Today, a security guard stands watch over the tomb, curtailing such rowdy behavior. Edith Piaf was a French cabaret singer from 1915 whose soaring voice earned her the title of one of France’s greatest stars. Taking a small path off a main road of the cemetery, Piaf’s burial plot rests among many other graves similar to it. The simple tomb is adorned with a crucifix and decorated with red roses left by visitors. 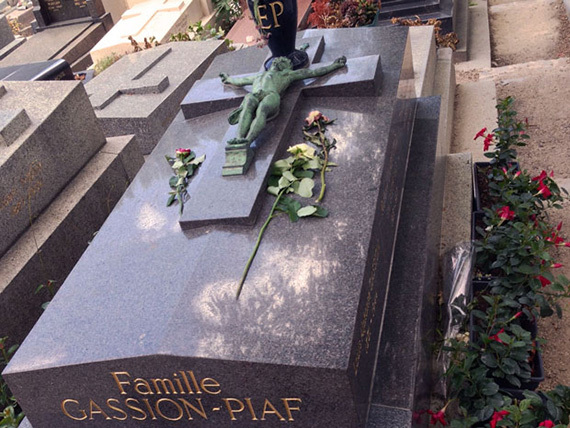 Standing graveside, it’s hard not to hear one of Piaf’s moving songs playing in the distance. 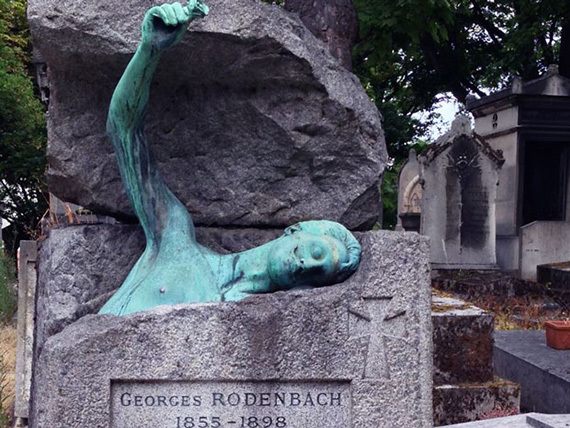 Belgian-born poet and novelist Georges Rodenbach moved to Paris toward the end of his life, where he contributed to the Belgian literary renaissance movement. His famous works include novels Bruges-La-Morte and Le Carillonneur. 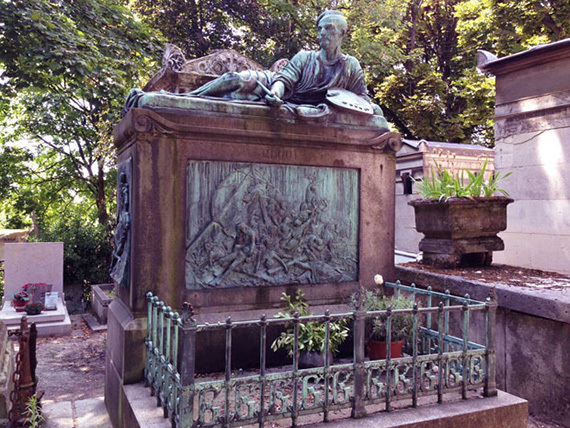 The author’s tomb immediately catches your eye, as there’s nothing like it even in the grand Père Lachaise. Similar to the dramatic style of Rodenbach’s writing, the tomb is of a man said to be Rodenbach emerging from the grave and grasping a rose.